Sharone and Golan campers, the youngest members of our camp family, can attend for one-*, two- or four-week sessions. Sharone and Golan campers, many attending a sleep-away camp for the first time, are introduced to camp culture and camp activities during their stays. 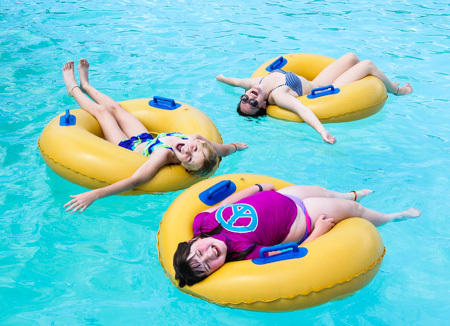 Our camp staff make sure that new campers become part of our camp community, while returning campers are given every opportunity to try new experiences. Sharone and Golan campers live in cabins with three to four staff members and eight to twelve other campers. Third and fourth grade campers sometimes live together in cabins, while our fifth grade campers live separately. Two-week campers are generally mixed in with our four-week campers. 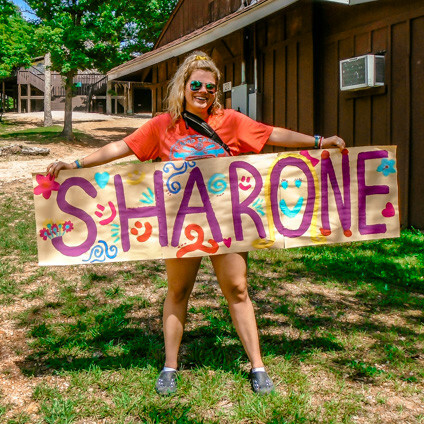 One-week Sharone and Golan campers get a “taste” of camp during their stay. Our staff makes every attempt to give these campers opportunities to try as many activity areas as possible. From arts and crafts to our water activities, one-week campers get to experience the best of Camp Sabra. The same goes for our two-week campers – they just have twice the amount of time to try new things! Two-week campers also experience an in-camp overnight, where they cook and sleep under the stars somewhere on the Camp Sabra peninsula. Four-week Sharone and Golan campers (and campers who come for a two-week experience during the second half of the session) participate in our color games, Maccabia, and they enjoy a trip to Big Surf Waterpark during the final week of session. Four-week campers also enjoy in-camp overnights, as well as the opportunity to explore all of our camp activities with the added bonus of additional time to create memories with their fellow campers and our camp staff.